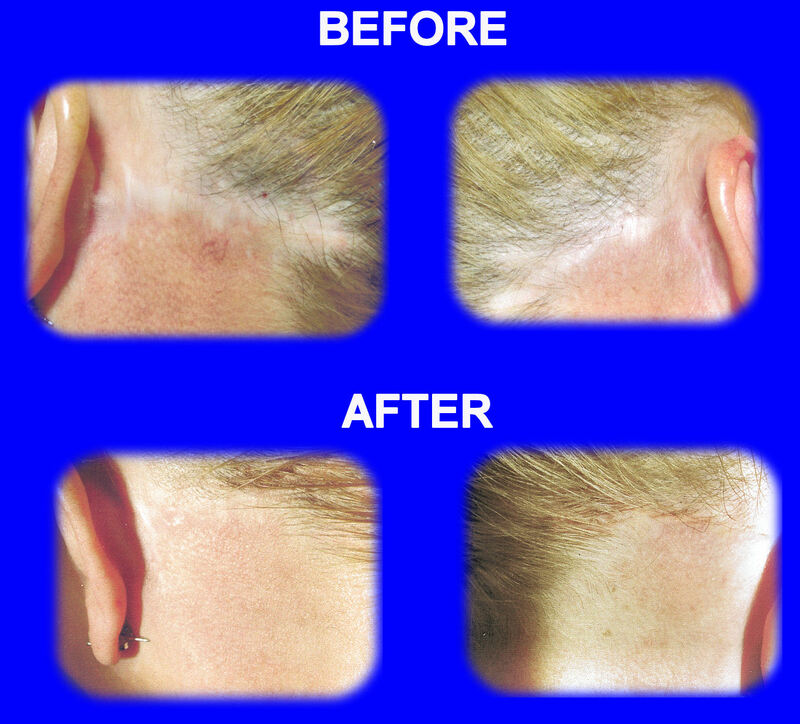 MEN AND WOMEN CAN BENEFIT FROM RESTORING COLOR TO VISIBLE SCARS LEFT FROM FACE LIFT SURGERY. 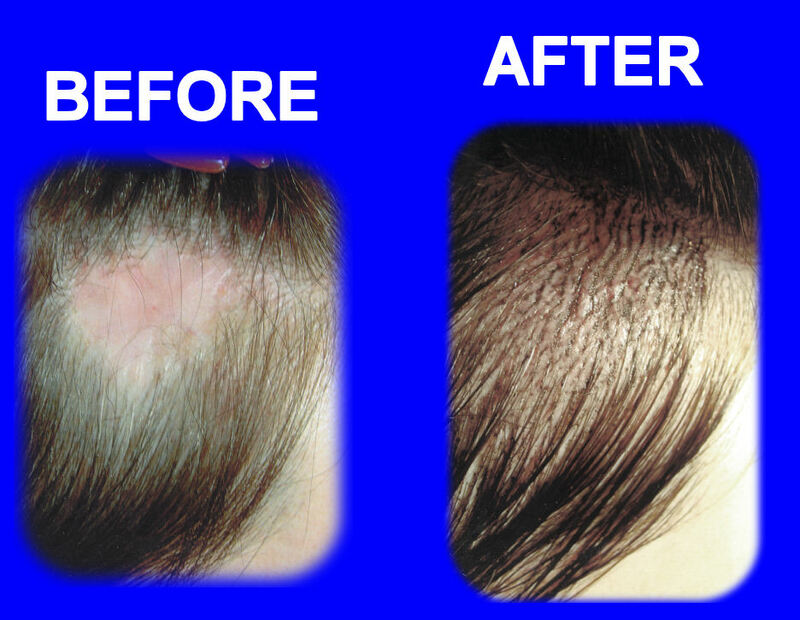 MANY SCARS ARE IN FRONT OF THE EARS AND SOME IN THE HAIR LINE, RESULTING IN PERMANENT HAIR LOSS. FLESH TONES CAR BE RE-PIGMENTED AND HAIR STROKES CAN BE SIMULATED TO RESTORE A MORE NATURAL LOOK AND ALLOW MORE CHOICES IN HAIR STYLES. RESTORING FACE LIFT SCARS IS A PROCESS OF THREE VISITS TO ALLOW FOR INITIAL EXFOLIATION AND FINE TUNING OF THE COLOR AS IT HEALS. 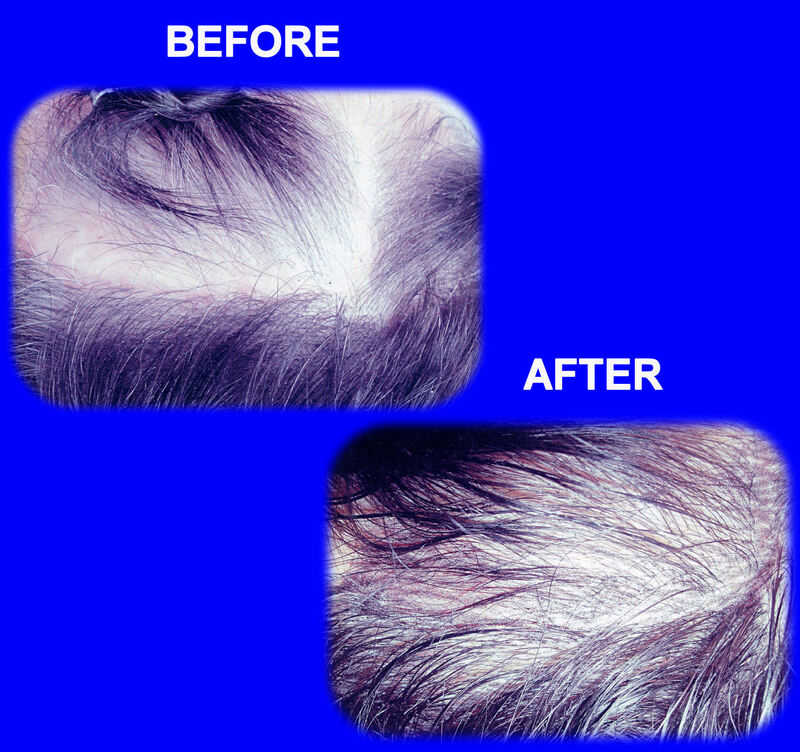 SAMPLES SHOW RESTORATION OF FLESH TONES AND SIMULATION OF HAIR STROKES WHERE THERE WAS PERMANENT HAIR LOSS.